17 Safari - Southbroom Accommodation. No.17 Safari is a 2 bedroom, 1 bathroom ( bath and shower ) flat providing comfortable accommodation for 4 people. Situated on the top floor, with a large covered open balcony with sliding doors from the lounge and front main bedroom, with a stunning sea view. The pristine, uncrowded beaches of Southbroom have wonderfull swimming, surfing and fishing and are in easy walking distance. For golfers the renowned Southbroom Golf Course is a 5 minute drive away, and nature lovers can visit Mpenjati and Umtamvuna Gorge reserves close by. A good supermarket ( 5 minutes away ) can supply your daily needs, while much more shopping is available in malls at Margate ( 15km) and Shelly Beach (20km). There are many good restaurants in the area. All bed linen is provided, but please bring your own beach towels. The kitchen is equipped with stove, fridge, microwave, dishwasher, crockery, cutlery, kitchen utensils. DSTV Premium service is provided. 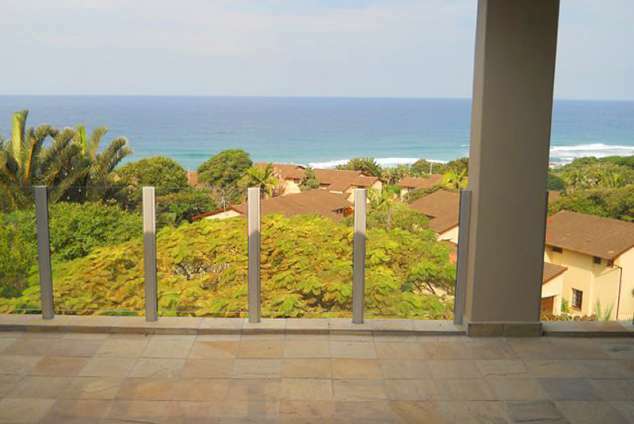 The building has good security, and is set in a large park-like garden with braai area. Front door key and remote for main entrance gate and garage will be handed over upon arrival / departure. 5486 page views since 19 Jan, 2015.